TDH-39, 10 or 300 ohm compatible speakers with 1-ms acoustic delay. 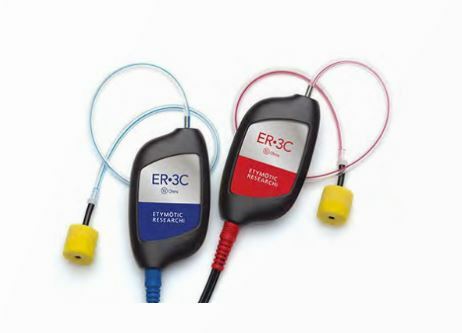 Recommended for ECochGs, BAEPs in infants and intraoperative applications. Kit includes 2 speakers and velcro strap, 3 pairs of color coded tubing, 2 impedance adapters, 2 connectors, 2 velcro clips and foam ear tips (10 pediatric, 50 adult and 4 jumbo). Replacement cables, tubing and ear tips sold separately for each Cadwell instrument.